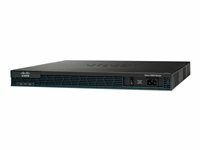 Services integration The Cisco 2900 series ISRs offer increased levels of services integration with voice, video, security, wireless, mobility, and data services, enabling greater efficiencies and cost savings. Services on demand The Cisco Services Ready Engine (SRE) enables a new operational model which allows you to reduce capital expenditures (CapEx) and deploy a variety of application services as needed on a single integrated compute services module. 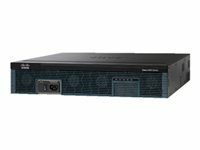 High performance with integrated services The Cisco 2900 series enables deployment in high speed WAN environments with concurrent services enabled up to 75 Mbps. A multigigabit fabric (MGF) enables high-bandwidth module-to-module communication without compromising routing performance. Network agility Designed to address customer business requirements, the Cisco 2900 series modular architecture offers increased capacity and performance as your network needs grow. Modular interfaces offer increased bandwidth, a diversity of connection options, and network resiliency.